Various hot air balloon pics from over the years. My favourite are the speciality balloons. 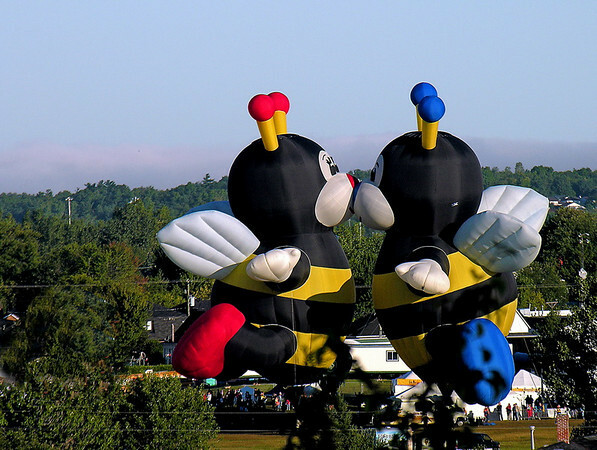 I know, my wife and I went to the Auburn-Lewiston Maine balloon rally the year AFTER the bees were there. Nice shot!